Below you can view all the townhouses for sale in the West Colfax subdivision located in Denver Colorado. Listings in West Colfax are updated daily from data we receive from the Denver multiple listing service. To learn more about any of these townhouses or to receive custom notifications when a new property is listed for sale in West Colfax, give us a call at 720-729-2320. Homes on both sides of house may possibly be purchased, too. Call listing agent for information. MLS#1577934. RE/MAX Cherry Creek. Your home will be well cared for and maintained unlike any other. MLS#3367265. Love CO Real Estate. Don’t miss an amazing opportunity to own this darling home in one of Denver’s coveted neighborhoods! 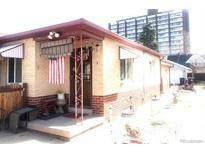 MLS#7929944. Luxe Realty, Inc.. Delivery date May 2019. For more info visit SLOANSONSTUART.COM MLS#5926856. Keller Williams Realty Urban Elite. This is a great value and shows beautifully! Hurry, will not last long!! ! MLS#3919074. RE/MAX Cherry Creek. Property has majority of finishes installed and is and fully walkable so call for a tour today! MLS#7856976. MODUS Real Estate. One-year homebuyers warranty comes with this build. No HOA! Taxes TBD. MLS#7313771. Love CO Real Estate. Listing Photos are of Model Unit and will differ from 1277 Quitman St., although finishes are the same. MLS#2898310. BANYAN REAL ESTATE LLC. All of this at an affordable price. Visit CIRCAWESTDENVER.COM for more details. MLS#5425343. LIV Sotheby's International Realty. Please see more details here http://1435yates.com/ and https://vimeo.com/321159826. Staged Updated photos coming soon. MLS#8495802. MODUS Real Estate. Not to mention a 10 year structural, 2 year systems and one-year builder workmanship warranty, you'll feel comfortable knowing that the builder takes care of his buyers and the homes he creates. MLS#4823400. Love CO Real Estate. All doors face the street and have wonderful natural light. MLS#2464418. MODUS Real Estate. Your home will be well cared for and maintained unlike any other. MLS#6064172. Love CO Real Estate. Please see more details here http://1435yates.com/ and https://vimeo.com/321159826 MLS#2161978. MODUS Real Estate. 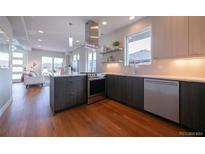 Property has some finishes installed is and fully walkable so call for a tour today! MLS#6440300. MODUS Real Estate. All of this at an affordable price. Visit CIRCAWESTDENVER.COM for more details. MLS#8690929. LIV Sotheby's International Realty. Minutes from Downtown, the Broncos Stadium, the Meow Wolf development & Sloans Lake, these homes will sell quickly at premium prices! MLS#5228709. TRELORA. View the virtual tour showing the location and projects within a block by copying and pasting link below into your address bar. https://youtu.be/39cDNSxGCJ0 MLS#3430698. Coldwell Banker Residential 44. View the virtual tour showing the location and projects within a block by copying and pasting link below into your address bar. https://youtu.be/39cDNSxGCJ0 MLS#5823008. Coldwell Banker Residential 44. 6ft fence @alley for storage of Recycl/Garbage bins. MLS#4788302. LIVE URBAN REAL ESTATE. 6ft fence@alley w/recyc/garbage bin storage. MLS#6283110. LIVE URBAN REAL ESTATE. Exposed brick and a spacious bath with egress in the basement, which includes access via a back entrance. MLS#2007561. Worth Clark, Inc..
All of this at an affordable price. Visit CIRCAWESTDENVER.COM for more details. MLS#9378039. LIV Sotheby's International Realty. View the virtual tour showing the location and projects within a block by copying and pasting link below into your address bar. https://tours.upshotimaging.com/public/vtour/display/1125589#!/ MLS#4574963. Coldwell Banker Residential 44. Enclosed porch not included in the square footage MLS#8754070. RE/MAX ALLIANCE.